Recent Enhancements — Enhance Property Maintenance, Inc. This enhancement included tiling the floor and installing cabinets. 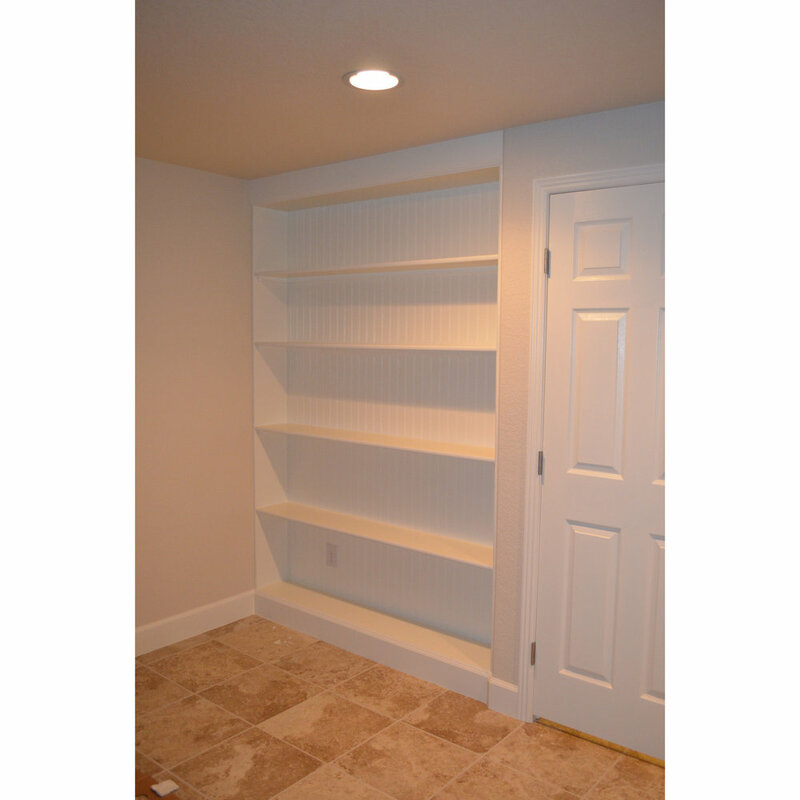 This nook next to the door in a finished basement was enhanced with built-in shelves. Picture-hanging is one of the many enhancements offered. Light switches are a relatively inexpensive enhancement. Count down timer switches are great for bathroom fans to ensure adequate exhaust. Timer switches are an easy way to ensure your outside lights turn on at dusk and turn off at an appointed time. And, motion sensor switches turn lights on when you walk in and automatically turn off which is perfect in a laundry room or pantry.